AdaBekee you really used the word celebrity very loosely, as loose as the scores in ANG's head. Red whatever isn't a celebrity . AdaBekee, thank you for this comment. It's funny how angry bird eka joy can call anyone a hater. This is someone who ooze's hate and wakes up bitter every morning. Yeye!! 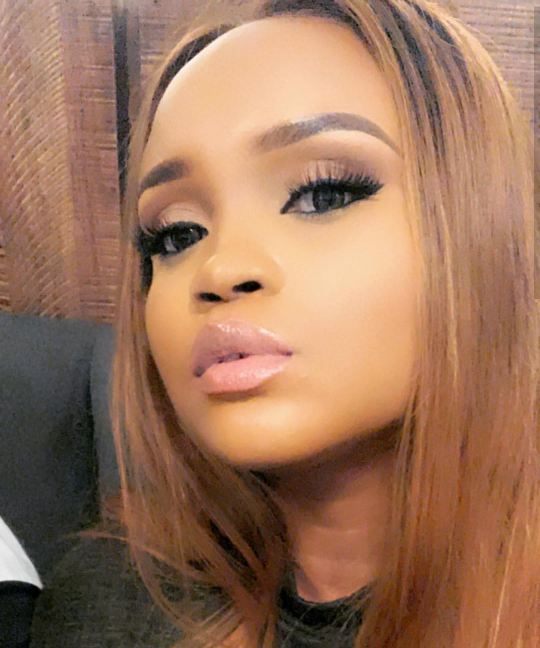 Adabekee the time that you use to troll and be a hater to these celebs, use it to loose those disgusting weight of yours. What does it mean for someone to be verified, is it an achievement? It means IG recognizes your presence there as being impactful to their community. I was going to ask the same question too Anon. Thanks Kerry. Tori koyemi ni o ? To me, the authentic verification, is self verification. All these Social media things nah ofunrehreh to me. Congratulations girl, enjoy your verification. How does one gets verified on instagram? 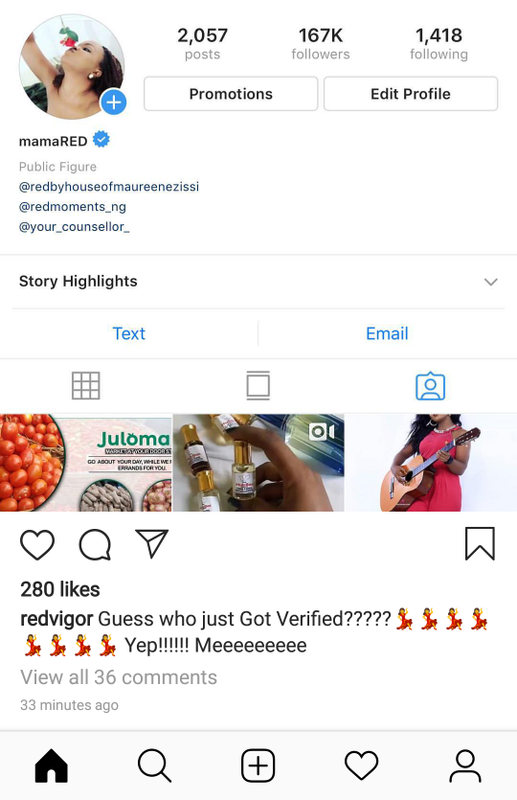 verified badge means “that Instagram has confirmed that this is the authentic account for the public figure, celebrity or global brand it represents.” “Accounts representing well-known figures and brands are verified because they have a high likelihood of being impersonated. @ Anonymous 17:59, 10 cold beer for you. Nigerians make big deal out of nothing. Girl, keep projecting your smelly attitude on others. Her initial gra gra has finally paid off. Just seeing her for the first time. Does being verified mean you'll havr first class ticket to heaven?? F**king coded lesbian. Keep using marriage to cover up.